There are many buyers of steam generator irons who simply like to search by brand, so I thought it would make searching a little easier, if I did the reviews by brands. Again to keep things simple, I have created a page on each of these leading brands, and that will include their range or irons that they currently have. This will always be kept up to date, so as you are looking at the most recent and best rated products. Now I know that some people will have their own particular brand that they may prefer, and for some products, I too have ones that I prefer. However, if you are knew to this type of steam iron, then please allow me to give you a few points in the right direction, which you may find useful. The main thrust of opinion would inform you that Tefal and Morphy Richards lead the market for these particular products. Philips are also a very popular choice for many buyers. That does not of course mean you have to buy one of those, but it is a really good standard to measure against. You can always tell when a particular brand is good at something simply because they sell the best. When you have read as many reviews as I have, you can quickly pick out the top performers. For these types of irons the two brands I have mentioned above do stand out from the crowd. The good news about this type of investment, is that these type of irons really do last really well. If you have been used to buying ordinary steam irons, then you know that they suffer from all sorts of problems. They also tend not to last for very long. With these styles, and with the better brands, you certainly get a much longer lifespan. You will probably be familiar enough with the brands that I have listed above. 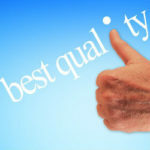 However, what you really want to look out for, is what type and length of warranties they offer, what is their return’s policy and most importantly, what is their after care really like. Generally speaking the level of customer service is actually pretty good. When you get to the individual brand pages, I do go into that in a lot more detail. These are the type of considerations that people tend to overlook when they are buying a new iron. That is natural as they are more focused on the type of information that I have provided in my buying guide. A very popular product is the Morphy Richards Jet Stream iron and remains a best seller. Don’t over look these important issues though as they are essential to helping you make sure you get a good quality iron that is supported by a very high standard of customer service. You do not of course have to stick with either Tefal, Philips or Morphy Richards as you can see from the list, that there are indeed plenty of others to pick from. I will cover those off on the website as well. That is the only way that you can get a proper overview of what is in the market place right now. There are always new products coming along so I will be on the watch for those and will review those at the earliest opportunity. How To Use A Steam Generator Iron?